Being in a different country far away from your loved ones is always a difficult situation. It’s made even worse when you are no longer able to care of yourself due to a medical condition and you are unable to receive any assistance from family or health services. Luckily, there is a solution to this problem by way of a Carer Visa and better yet we can assist you every step of the way! Assist a relative providing care to a member of their family unit with long-term or permanent medical conditions. 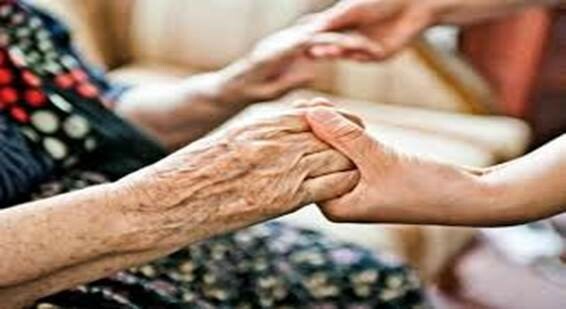 In short, the carer visa allows Australian permanent residents, citizens and eligible New Zealand citizens with a medical condition to sponsor relatives to live permanently in Australia to take care of them. Stay in Australia as a permanently. Apply for Australian citizenship (if and when you are eligible). Travel freely for five years from the date the visa is granted- after that time the visa holder will need to apply for resident return visa or another visa for which they are eligible for. It is important to know that the application process is long and has very strict visa requirements. Who can act as sponsor? Before an applicant can apply for a Carer visa, they must first gain a sponsor from a relative in order to have the visa granted. All relatives on this list must be over the age of 18. A partner or spouse of one of the above-mentioned family members and half or step relatives are also included. The sponsor is expected to provide an Assurance of Support. This is an agreement to financially assist the applicant to ensure that cost to the Australian taxpayer is minimised. As mentioned before, the applicant must be sponsored to take care of the Australian relative or a member of the relative’s family unit. To that end, the applicant needs to meet certain health and character requirements. Applicants are also expected to fully understand what kind of care is required and that they are willing to provide the on-going, and often times demanding care for the sponsor or family member. Character requirements. Police certificate from the Australian Federal Police (AFP) as well as any other country where the applicant has lived 12 months or more in the last 10 years after he/she turned 16 years of age. Must not have any outstanding debts to the Australian government. Any applicant over the age of 18 will be expected to sign an Australian Values Statement. This is to ensure the applicant will respect and upload Australian laws and values. An interview is also conducted. During the interview, the applicant will be assessed on if they have a genuine intention to care for the person in need and are capable of providing significant and ongoing care. These requirements will extend to any members of the applicant’s family who will also be included on the application. What if I am already getting assistance? If you are already receiving a small amount of assistance from family or services within Australia, it needs to be established that those are not enough and further help is not easily able to be obtained. You will, however, need to show that effort has in fact been made to try to gain assistance and why it is insufficient or is unreasonable to obtain. How many relatives reside in Australia and where. How demanding the medical condition is. The person or service who is partially assisting. Reasons given by relatives as to why they will not or cannot provide the care required. This is a capped visa, which unfortunately means that the number of places are limited resulting in unpredictable processing times. Applications are taken in the order they are received in the queue. They will not be moved ahead of others in the queue even with compelling and compassionate circumstances. This also means every application is assessed in two stages as well as paid for in two instalment stages. The application is evaluated against the essential requirements for the Carer visa. The application is then either sent to the queue to wait for a spot to become available or the application is refused. The first instalment of the application fee will be required. The wait times in the queue can be extensive, it is important to not get too discouraged. Once a visa place becomes available, the application will be assessed to ensure all of the requirements have been met. If the Department is satisfied with the application assessment, they will then ask for the second instalment of the visa application charge and then the final decision is made. If the second instalment is shown to put the carer into financial struggle, you can ask for it to be reduced to nothing. The Department offers a cost estimator on their website, if you would like to have an approximate idea of the cost please use this link https://www.border.gov.au/Trav/Visa-1/116-?modal=pricing-estimator. Carer visas are a very long and extensive process with very limited spaces available each year. Applications can easily be rejected by the Department of Immigration for a variety of reasons that could be avoided with the proper advice. Applications prepared without the help of a professional often times have a low success rate and are usually slowed down due to lengthy and difficult requests from case officers. As this visa process is so extensive and the rules are getting stricter, we highly recommend enlisting the help of a professional! As we are highly educated lawyers and experienced registered migration agent’s, we can provide legal services that go beyond the application itself. We are here to help you through each step of the visa process and answer any questions you may have!